Drink low-fat milk: Low-fat milk is more nutrient-dense than higher fat milk. Its nutrient content is the same, but it has fewer calories because it has less fat. 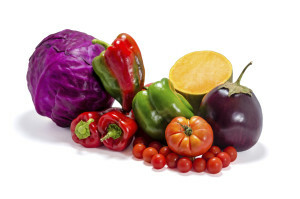 Get steamy: Steaming is the best way to cook vegetables because it preserves nutrients. Boiling leaches nutrients from vegetables, but the leftover cooking water can be used as soup stock. Get “complex” about carbs: About 60 percent of calories should come from carbohydrates, with an emphasis on complex carbohydrates. Glucose tolerance may decrease with advancing years. Complex carbohydrates put less stress on the circulating blood glucose than do refined carbohydrates. Focus your diet on good carbs such as whole grains, like brown rice, whole wheat bread, rolled oats, barley, and millet. Helping seniors stay happy and healthy at home is our main goal at Hired Hands Homecare. If you are concerned about your loved one’s dietary habits, contact our expert home care team. We service Marin, Sonoma, Napa and Solano counties as well as Alameda and the Tri-Valley area. We can work with your loved one and his or her physician to create yummy, nutritious meals that he or she will love.